Tibicen davisi (Southern Dog Day Cicada Cast). Size: approx. 30 mm. Photo: 08/12/11, 10 am. Hanging in there ... This cast is likely from the Southern Dog Day Cicada (Tibicen davisi). I can't believe that it picked this spot on top of a flower. The species is very common in the Southeast and closely associated with pine trees. 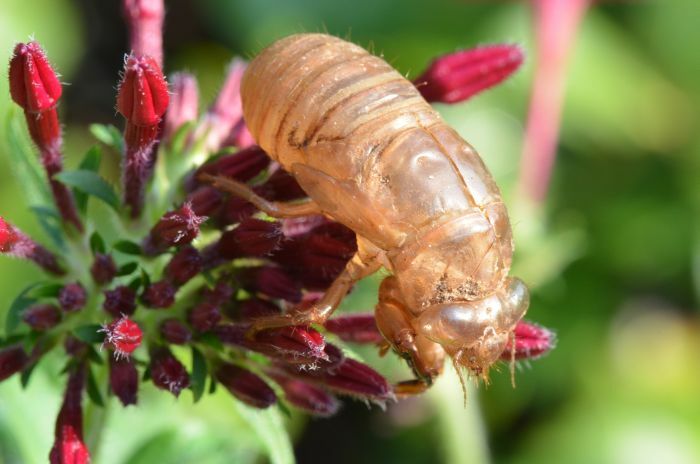 The bug guide expert who assigned the species mentioned Diceroprocta olympusa as another remote possibility. Tibicen tibicen ssp. 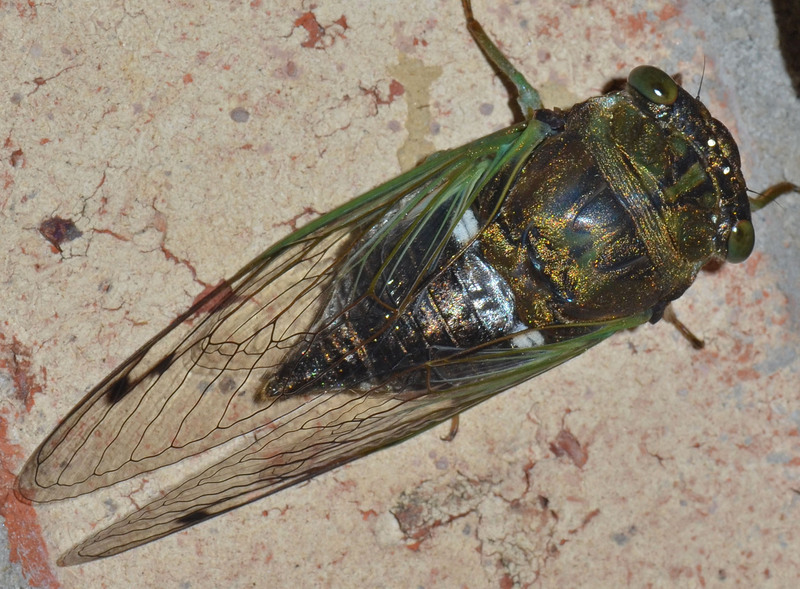 australis (Southern Swamp Cicada). Size: approx. 60 mm. Photo: 08/13/14, 10 pm. A mighty insect! After hearing it fly against the window, my first instinct was to keep a safe distance. 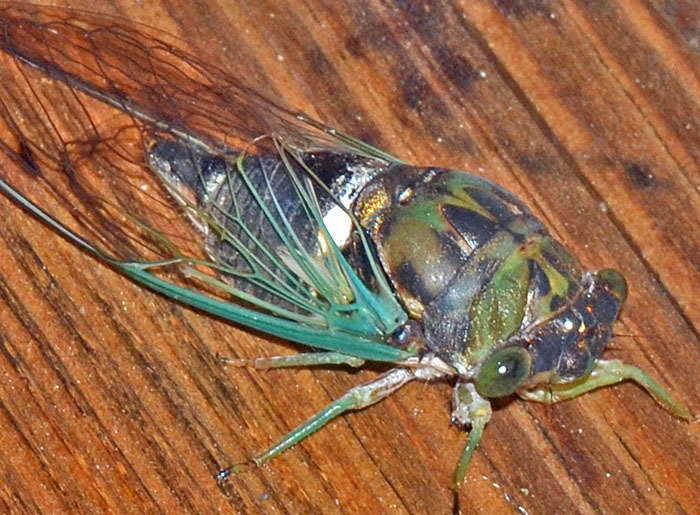 This "annual cicada" can be found every year, although their nymphs spend 2-3 years feeding on tree roots. 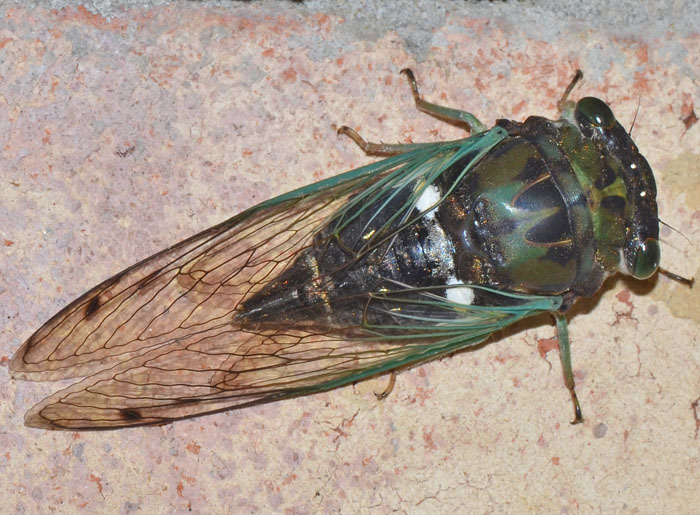 The UF link states that there are 19 different cicada species in Florida. The small photo on the right is a photo of a female (08/28/14). The gold-colored "dusting" suggests that it emerged only hours ago. It is best seen on this high-res version.